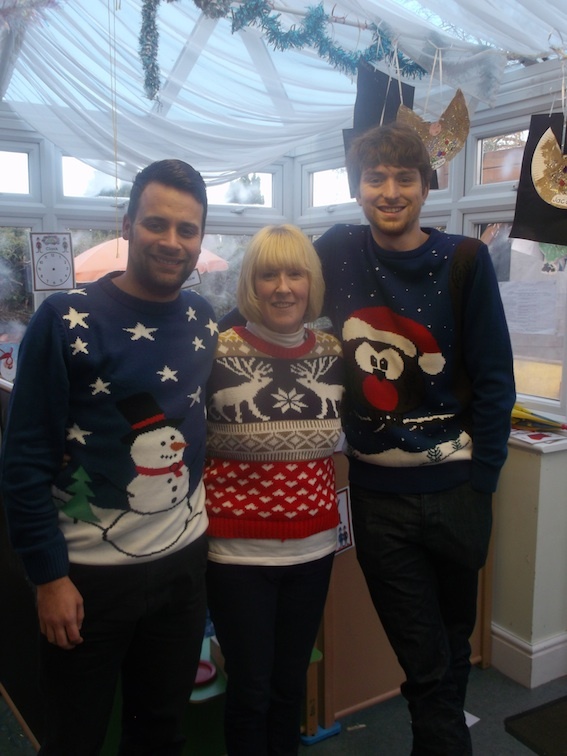 Festive knitwear was the order of the day last Friday as staff and children alike got into the spirit of National Christmas Jumper Day at Bright Kids Crabbs Cross. 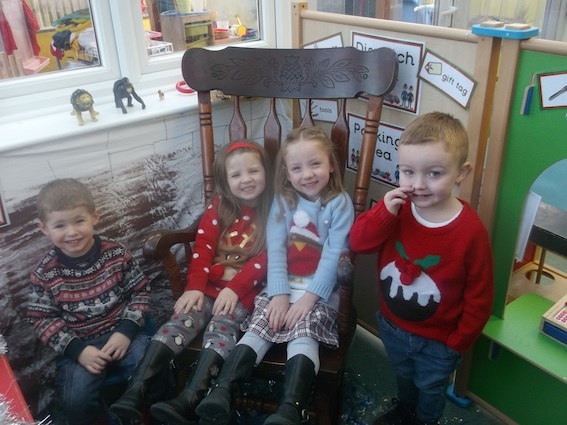 From robins and reindeer to 3D snowmen and Christmas puddings, everyone got into the spirit of the event at the Evesham Road nursery last Friday. 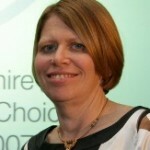 Alison Hill, senior nursery nurse at Bright Kids, said: “Children donated a small amount in return for wearing their jumpers, raising £20 for the charity, and learned more about the work that Save The Children does and why they hadd called for a national event to bring everyone together. Tiona Fitzsimons, Tom Bowes and Kurt Palmer get into the festive knitwear spirit!